You know that: You have just stumbled upon a great and informative YouTube channel. It’s full of videos you would like to watch but to do that you need to have internet access in any case. And of course that internet access needs to be as fast as possible to cope with the video quality you would like to watch. Now there are a lot of tools that allow you to download YouTube clips manually. 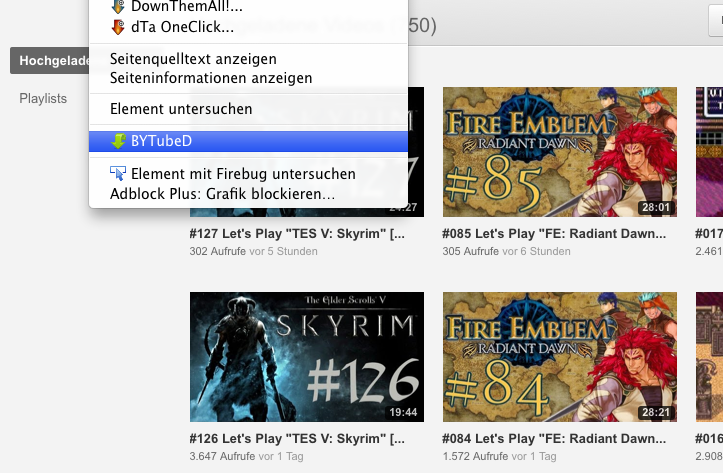 I used BYTubeD for that purpose. It is a nice and easy to use Firefox Add-On which can be started whenever a YouTube video appears in any page. After you’ve started into BYTubeD you can select which of the videos on the page you would like to download and what quality you would like to get. I’ve subscribed to several – to me – very interesting YouTube channels. These get updated almost every day. The only option for me to keep track with them is to take the time, surf YouTube and use BYTubeD to download manually if there is anything new. Now this was a waste of time for me so I automated it. I wrote a small tool I call “YouTubeFeast” – because it allows you to feast on YouTube… yeah I know. Now this tool is designed to run on a linux or windows machine in the background and scan in configurable intervals for new videos. If it finds new videos it downloads them in the quality you pre-configured to a folder you configured. It couldn’t be easier. It’s open-source (GPLv2) and I’ve made it publicly available on GitHub. You can even find a pre-compiled binary version there which is ready-to-run. 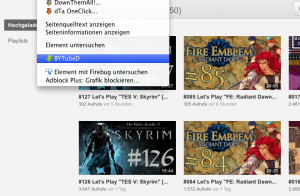 After configuring the only thing you need to do is to start YouTubeFeast. It will then go through all the jobs and download video files – as soon as it comes across an already downloaded file it stops that specific job. That’s all about it. If you got any comment or suggestions for improvement please let me know.